← Thinking Outside Of The Box: A WiH Interview With Michelle Tomlinson. Kneecaps Be Damned! : A WiH Interview with Kelsey Zukowski. As an actress, writer and now director, Kelsey Zukowski is wasting no time sinking her fangs into the world of horror. A native of Ohio, Kelsey has been enamored with the world of theatre arts since she was ten years old and hasn’t looked back. With a laundry list of credentials that include community theatre, movie review writing, acting and directing, it’s just getting bigger and better for Ms. Zukowski. Kelsey has since brought her reign of terror to the shores of Lake Michigan, taking the Chicago-land area by storm as of late with ‘What They Say’, a dark drama she wrote and co-starred in. The film earned a nomination for Best Short at the 2011 Chicago Horror Film Festival. Even cooler- the film won the Audience Choice Award at the 2012 Stiletto Film Fest in Boston! As a fellow Carpenter and Craven fanatic, I am led to believe Kelsey is one of the coolest people living in the Midwest. Don’t believe me? Feast your eyes on the interview I had the pleasure of conducting with Ms. Zukowski recently! 1. Your love for writing and the arts can be traced back quite a ways. Who were some people in your personal life that influenced you to start down this path? My family has always been very supportive of following your dreams. My brother’s a musician and artist and I took the film/writing route. It’s likely inspired by my uncle who is a writer and artist himself. He has been a great guiding force to us. My love of writing traces back to a very young age. When I was 7 I started creating picture books and aspired to be a writer. Although, my expertise in writing has changed drastically it has always been a constant in my life. I remember dreading being in my school’s play when I was 10, my short-term memory couldn’t conceive having to remember all those lines. The first time I got up on that stage though I fell in love with the energy and excitement. From then on it was nothing but acting, dancing, and singing until my passion transferred to film and I focused all my time on movie reviews and shortly after screenwriting. 2. You’ve credited John Carpenter’s ‘Halloween’ with really lighting that fire for you as a horror writer. Wes Craven is another icon of yours. Were your parents fans of the fact that their young daughter was such a horror fan? Ha my mom not so much. She was often mortified by many of the films I watched. The funny thing is she has always been in to horror books, especially of the supernatural variety. We definitely share a love of vampires among all other things supernatural. It seems through that we have grown to be able to watch some of the more dramatic and artistic horror films together, Let the Right One in is that one comes to mind that we both really enjoyed. My dad would watch horror films with me from time to time. Our family has a cabin in Pennsylvania. I would go there with my dad and he would help out with the amateur horror films my friends and I would make full of ketchup drenched skin-eating blood diseases, abandoned cabins, and stalking killers. These were the things I did on weekends in high school, not quite the average teenage girl. 3. ‘What They Say’ gave you the chance to work with Heather Dorff, another woman in horror Chicago is proud to call their own. What led you two to forge such a close working relationship? Heather and I actually first worked together close to a year before ‘What They Say’ filmed. We briefly met at a zombie event in Chicago and then again very shortly after filming a short film called, Sunny Afternoons. We really hit it off on set and she quickly grew to be one of my closest friends who I am thrilled to have the chance to work with so frequently. 4. What was it like to finally have your chance to run the show, with your directorial debut, ‘Ritual Of The Dead’? ‘Ritual of the Dead’ actually hasn’t filmed yet, but I am eagerly anticipating it. It’s a great, atmospheric horror story that deals with zombies, witchcraft, and revenge. Not to mention it has some of my favorite people to work with Heather, Jonathan Moody, and Sam Qualiana to name a few. ‘The Hazed’ will actually be my directorial debut and I am very excited to bring my dark vision to life. I’m bringing together a great team who I can work closely with to bring out the tone and atmosphere of this psychological slasher where the cruelties of hazing and sorority life take on a whole new level, completely unforgiving and malicious. 5. With ‘Nightmare On Elm Street’ being your favorite horror film, what would be the other films that would rank in your ‘favorites’ list? As you can guess Wes Craven is one of my favorites so really anything from him. ‘Serpent and the Rainbow’ is one of his most underrated in my opinion. As the first horror film I ever watched, ‘Psycho’ will always have a place in my top 10, along with ‘Night of the Living Dead’, without a doubt the most influential zombie film of all time, and ‘A Nightmare Before Christmas’, a darkly delightful world of wonder, the unknown, and thirsting for a change that wasn’t so far away. The ‘Harry Potter’ series as a whole is actually a close second to ‘Elm Street’. The films have come to hold such significance in my life. I really grew up with the films, growing with the characters as the films took on a darker tone and more complexity, definitely elements I admire. It’s amazing how they can be such an enchanting escape while having such a striking resemblance to life. They question the level of darkness and light in a person and the world itself. Even when hope is gone and darkness nearly swallows up our characters whole, they never stop, which is perhaps the greatest sentiment to keep pushing forward no matter how grim things seem. ‘Se7en’ is another one of my favorite films. I love the shades of gray it plays with, suggesting that there is such evil every way you turn and every flawed person deserves to be made an example of as an ultimate gesture to God. Kevin Spacey gave such an incredible performance. I love villains like that, that are complex, interesting, and have such a different mindset about the horrors they commit. 6. As a fan of the genre and a writer/director of horror, what makes for a great horror film in your mind? A good horror film just needs something interesting or engaging about it. It could be characters, story, compelling themes, creative deaths, or preferably all of the above. A great horror film though really takes no prisoners; it blows you away and makes something resonate in you so deeply. These types of films stay with you; you mentally go back to them after watching them. They have something to say and they make an impact, pushing the horror genre to another level and proving the capabilities and creative insight it can hold. ‘Frontier(s)’, ‘Martyrs’, ‘Inside’, and ‘The Woman’ are recent films that fall in to this category. Films like these are what makes me so passionate for the genre and inspires me to create something as powerful myself. 7. You’ve dislocated your kneecap three times. Good Lord.. How the hell did that happen?! I’m also double-jointed and easily hyper-extend when I walk without realizing it. My kneecaps are at a bit of an angle and they can easily slide out of the socket if they get turned in the wrong way. My other knee is at risk of the same thing. The more you dislocate something the easier it is to get dislocated again, which forced me to get surgery to get my kneecap bolted in place. How it actually happened though? Every time it has always been something much more mundane than most people expect, but they all seem to make humorous stories. The first time I was 13 at a school dance doing “the booty bounce”. I was rolled out on a stretcher with 500 people surrounding me. The second time, I was re-enacting ‘Halloween’ with my friends. I played the victim running away from Michael Myers and slipped on wet grass and dislocated it (only 11 months after the first time). The last time was my last year of college. I have a horrible paranoia of rats. To get to my apartment at the time there was no choice but to go through alleys, which to my horror were infested with rats. I ended up dislocating my knee when I tried to get out of that alley as fast as possible. No one was home so I had to pull myself across the apartment floor and call the ambulance. By then, I was almost used to the routine that followed. Still, I pray I can avoid if from happening again. 8. If you could have dinner with one horror icon, alive or dead, who would it be and why? Wes Craven! He is still the master of horror in my eyes. He’s such an interesting and insightful individual and has created so many horror legacies that will reign forever. How I would love to divulge in to his mind! 9. Who are some women in horror you admire, both on the indie scene and in Hollywood? On the indie level I definitely admire Debbie Rochon and Tiffany Shepis. There is no question how much they love what they do. Often Rochon will take on projects simply because she likes the people involved. Both could go after far higher paying roles, but they don’t because their passion is for indie horror cinema and being a part of likeminded individuals with that same fire and drive burning throughout them. 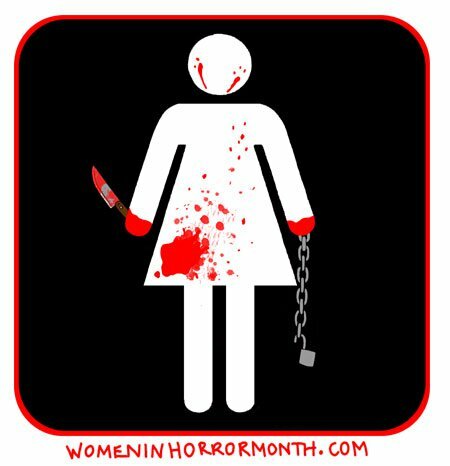 Mainstream horror is rarely what us fans regard as true horror since most of it is watered down remakes, but it still is really disheartening I can barely come up with any strong women in horror on the mainstream level. There are many who have strong roles in fierce horror films, but few that actively chose to make the horror scene their life like many of us do in Indie. Hopefully that will change when mainstream takes chances on more meaningful and daring material. 10. Horror is the only genre in mainstream cinema that is still looked down upon. Sure, let’s belt out as many ‘Valentine’s Day’, ‘Going The Distance’, and ’27 Dresses’ as humanly possible, but even when horror is done well, it’s still considered trash to most. Why do you think that is? It really annoys me how horror is looked down upon and viewed as trash, but in some ways I don’t really blame people who hold this belief. As I said, true horror does not live in the mainstream. There are a few rare gems, but most of Hollywood horror really is lazy, clichéd, and void of any true significance. Most people don’t even realize there is anything more out there or they simply think the only appeal is blood and death. We only know the immense inspiring and captivating material that is out there because we live and breathe horror. We seek it out and go in with an open mind, ready for anything and knowing that the most brutal gore and torture is packed with a much more meaningful punch than the average person might expect. 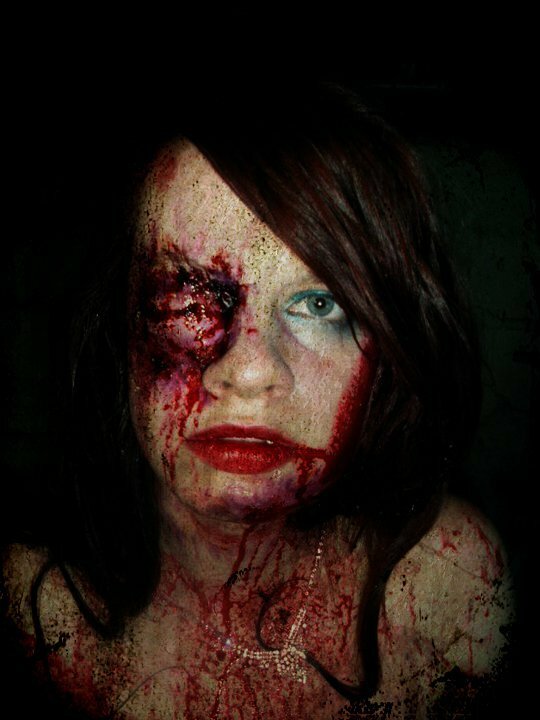 Horror is the misunderstood outcast and I love it even more for being just that. 11. You also have a bunch of acting credits on your résumé. Do you prefer directing or acting more? I will let you know after I direct ‘The Hazed’! Out of everything though, I would say I am a writer above all else. I talk like a writer, think like a writer, act like a writer. Above all I want to create, which starts with a script before it can be brought to life. Still, it is amazing being able to work within other forms of the film making process to push those words in to a reality. 12. You’ve made it known that your evil sneer is a trademark of yours. Are we talking Jack Nicholson sneer here? Ha once ‘The Melon Heads’ comes out you won’t have to even ask! That was the first feature film I was in, which centers on an urban legend local to my hometown about a dangerous cult. My character is giddily evil to say the least. I think I have that evil sneer plastered on my face nearly that whole movie. The “I’m Streaming Death” episode of Ron Purtee’s The Social Media Massacre web series, starring myself and Heather, is another example of me embracing the villainous character. 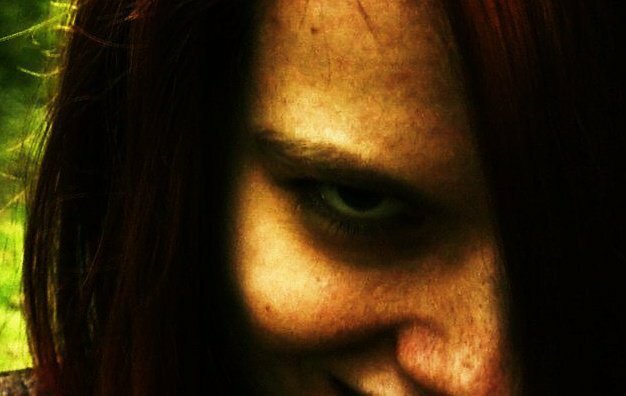 I really love playing evil characters, it’s so much fun to lose yourself and give yourself over to something so completely dark and making it even more disturbing by getting such pleasure from other people’s misery. 13. What would you like your legacy in horror to be? I want people to look at my films and see a potential in horror. I want them to have the type of reactions I have from my horror films that really have an effect; to show intense and powerful themes and examining that are creatively infused through the genre. I want my legacy to reflect horror with meaning, horror with passion, horror that can live on. Thank you very much to Kelsey for her time and enthusiasm with this interview. It’s always awesome meeting a fellow Chicago area horror fanatic! If you live in the Chicago area, I highly recommend you check out the next screen of ‘What They Say’, at the Portage Theatre on March 24th at 7:30pm!